Up until the early 1900s, country trail users were mostly miners, ranchers, foresters, and trappers, who were expected to be on the trail for long periods of time, and had to carry ample provisions with pack animals. Since trail distances were far and loads were heavy, trails were mostly constructed at a low to moderate grades. Trails specifically constructed along the rugged western peaks were built along the contour of the slopes—nearly perpendicular to the fall-line, and were more resistant to erosion and required less maintenance. As trading posts, mining towns, and harbor cities grew in the late 1800s and early 1900s, “city folk” sought out ways to enjoy the solitude and beauty of nature, so recreational trails became popular. In the 1930s, many local trails were built or improved upon through federal Works Progress Administration (WPA) programs, many of which still exist in good condition and require minimal maintenance. Many of these trails used natural rock from the local area to build walls, stairs, and small dams. The County of Los Angeles covers more than 4,000 acres of area with vast topographic differences and climatic regions, from coastlines, alpine mountain regions, and deserts. Within the County there are a combination of 18 state parks, state recreational areas, and state historical parks, which include miles of existing and historic trails and roads for recreational use. Since the 1950s, the preservation and maintenance of LA County trails and open space has become extremely important. These efforts were enhanced when the Santa Monica Mountains National Recreation Area, the world’s largest urban national park, was designated on November 10, 1978. This cooperative effort of over 70 government agencies led to the construction of the Backbone Trail, a 65-mile long trail intended to unite the patchwork of public parklands. Another one of the largest County recreational trail assets is the 22-mile LARIO trail system, which was built along the flood control channels of the Los Angeles River and Rio Hondo Channel, and provides access to seven adjacent parks. Two additional recreational trail systems were finalized in 2006—the Antelope Valley Backbone Trail system and Santa Clarita Backbone Trail system—which were developed to ensure future trails are developed in a connected manner throughout the Antelope and Santa Clarita Valleys. In 1978, the first California Recreational Trails Plan was produced, which directed the creation of trail corridors and provided a general guide for the future growth of California’s trail system. The 2001 update to the Plan provides trail goals for the state in terms of funding, inventorying, planning, end encouraging the use of the trails from m8ltiple users. 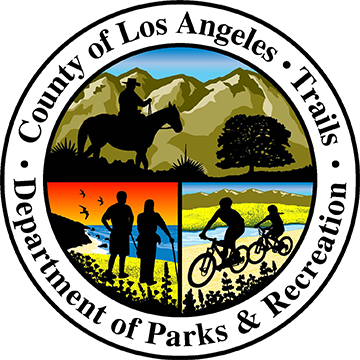 In 1992 the Riding and Hiking Trails of Los Angeles County map was published, and updated in 2001 to provide the name and locations of major trails within the County. The Rim of the Valley Trail Corridor Master Plan provided a plan for the development of a trail system around the San Fernando/La Crescenta Valleys, known as the Rim of the Valley Trail.